Dubai: The Dubai index jumped nearly 1 per cent on Wednesday helped by heavyweight Emaar Properties even as traded value recovered. The Dubai Financial Market General Index closed 0.93 per cent higher at 2,517. 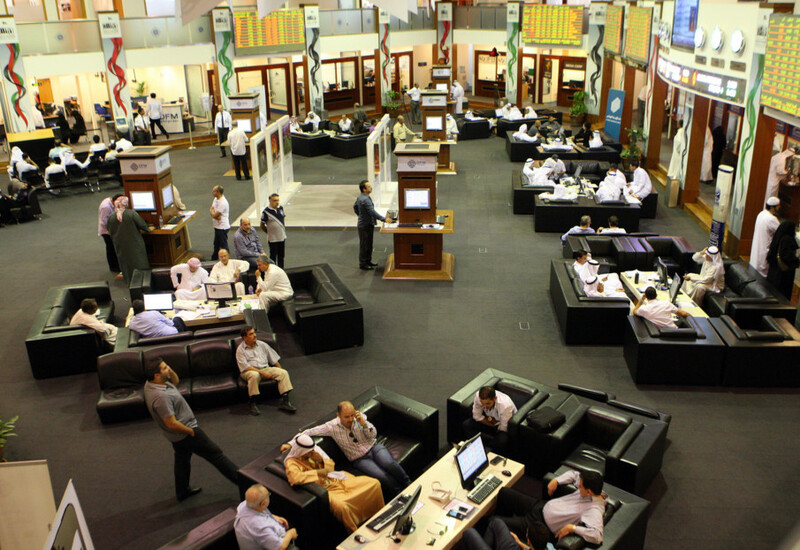 Traded value stood at Dh136 million compared to Dh80 million in the previous session. Emaar Properties may face resistance at 4.27/4.339. Traders may buy the stock at current levels. Damac Properties which has been oversold may go up again to Dh1.31. Emaar Properties, which was the most-actively traded stock, closed 2.23 per cent higher at Dh4.13. Dubai Islamic Bank closed 0.39 per cent higher at Dh5.12. Damac Properties closed more than 4 per cent higher at Dh 1.20. “Emaar Properties may face resistance 4.27/4.339. Traders may buy the stock at current levels,” said Osama Al Ashry, a technical analyst based in Abu Dhabi, adding that “Damac Properties which has been oversold may go up again to Dh1.31”. Al Ashry recommends traders to buy Dubai Investments for a target of Dh1.39, and Gulf Finance House for a target of Dh1.17. The Abu Dhabi index was supported by buying in banks such as Abu Dhabi Commercial Bank (ADCB) and Union National Bank (UNB). The Abu Dhabi Securities Exchange General Index closed 0.3 per cent higher at 4,970.81. ADCB closed 1.05 per cent higher at Dh8.69 while UNB closed 2.25 per cent higher at Dh4.99. 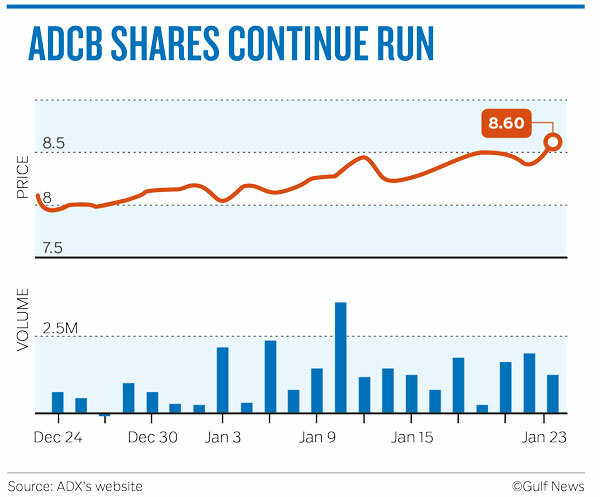 “ADCB is headed higher towards Dh8.75/8.90 in the near-term,” Shiv Prakash, senior analyst with First Abu Dhabi Bank Securities, said. UNB is gradually turning up and may head towards Dh5.15/5.50 in the near-term. Traders may look to buy with a stop loss placed at Dh4.70,” Prakash said. Elsewhere in the Gulf, Saudi Arabia’s Tadawul index rose, mostly driven by material and capital goods. The Tadawul index closed 0.78 per cent higher at 8,464.97. The index may hit a high of 8,587 within a few weeks, Al Ashry said. Saudi Kayan Petrochemical Co. closed 0.15 per cent higher at 13.42 Saudi riyals. Saudi Basic Industries Corp (Sabic) closed 1.49 per cent higher at 122.80 riyals. Dar Alarkan Real Estate Development closed 0.11 per cent higher at Dh9.49. Saudi Cable closed more than 8 per cent higher at 46.90 riyals. Traders can still buy the stock for a target of 49.3 riyals, Al Ashry said. Jabal Omar, which closed 3.3 per cent higher at 33.6 riyals, may reach 35.20 riyals, Al Ashry said. The Muscat MSM 30 index closed 0.48 per cent higher at 4,165.97 while the Qatar exchange index closed 0.35 per cent lower at 10,650.31.